My pup, Frisco, is almost 15 years old. 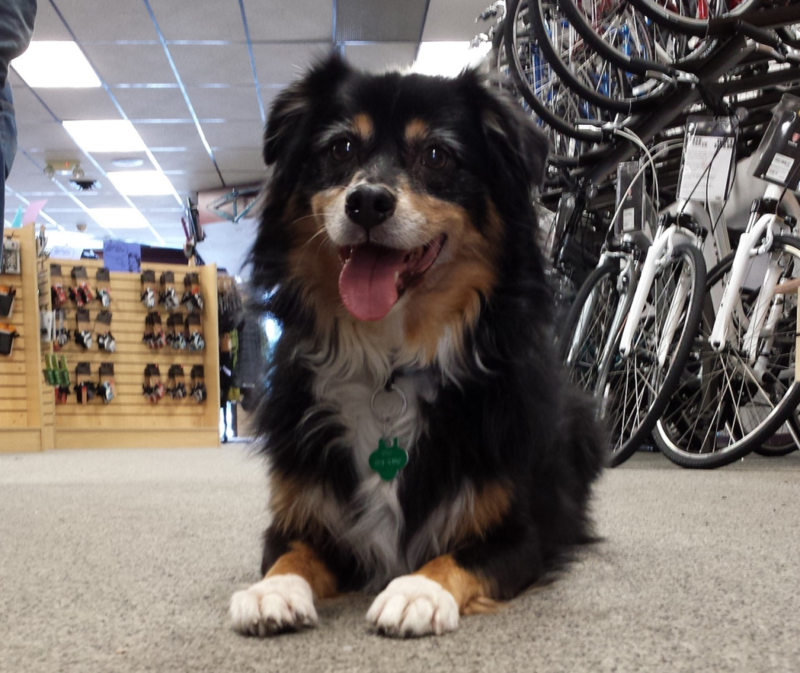 Frisco is a miniature Australian Shepherd. Whip smart, obedient, gentle, and loves the hugs. She’s in good health for her age, though her stamina has diminished, her hearing is failing and so is the vision in her left eye. But she still loves going for walks and playing with her tennis balls and frisbees. Her life is still pretty good. Frisco, like your pets, is a beloved family member. We want what’s best for our pets, and we hate to see them suffer. In their waning days, when illness, chronic pain, or other disabilities take a toll, it is oftentimes difficult to know whether a pet’s quality of life has declined to the point that it may be more humane to euthanize them. The New York Times has published a scale adapted from Canine and Feline Geriatric Oncology: Honoring the Human-Animal Bond, by Alice Villalobos, D.V.M. Pet owners and caregivers can use this “Quality of Life Scale” to determine whether to continue supportive care for an aging or sick pet or whether euthanasia is a more humane option. Seven categories are covered, using a scale of 0 (very poor) to 10 (best). Scores in each category should be based on your pet’s quality of life on its own or with whatever level of supportive care works for your pet. Frisco scored 64 out of a possible 70 points on the Quality of Life Scale. How does your pet score? The Law of Unintended Consequences – and Failure to Plan. According to a recent story in the Boston Globe, Marcelle Harrison’s family has lived in a three-story home in Cambridge, Massachusetts for almost 40 years, during which time four generations of her family have lived. She and her family (two generations worth) may have to vacate the home because her stepfather died intestate (without a will) in 2011 after the passing of her mother two years earlier, meaning that legally her stepfather’s blood relatives back in his native country of Barbados have a stronger legal claim to her childhood home than she. The home was purchased by her mother and step-father in 1980 for $23,000. It is now worth over $1 million. When her mother died in 2009, her step-father continued as the sole owner of the property. When he died in 2011, without naming a beneficiary for the property, Massachusetts law allows his blood relatives to claim the house over Marcelle, a stepchild. According to Marcelle and those close to the family, her stepfather, Noel Aimes, always wanted the house to stay in the family, and in the 1990s he built additions to accommodate his growing family. Marcelle received the news in a letter delivered to her shortly before the end of last year. “Since you were not an heir-at-law, your appointment is in jeopardy of being set aside,” wrote the state public administrator. It appears that Mr. Aimes’s relatives in Barbados plan to sell the property as soon as the estate is settled. Marcelle is terrified and unsure where her family will live if forced out of the Cambridge property. This story illustrates the importance of having a will. Without one, it doesn’t matter what you desire to happen with your assets. The laws of the state in which you reside will dictate the disposition of your assets. This is especially relevant in second-marriage situations. Marcelle’s stepfather may have wanted the property to pass on to her and her family, but without a will that said so, Massachusetts laws dictates it go to his distant relatives in Barbados. A sad outcome to be sure. All it takes is a bit of planning to avoid disaster. If you don’t have an estate plan in place, hopefully what’s happening to Marcelle will motivate you to take action! If your estate planning house isn’t in order, give me a call, I can help. While you won’t have to live with the oftentimes disastrous consequences of dying without an estate plan, your family will. http://www.thomasdelpup.com/wp-content/uploads/2019/02/photodune-23085009-business-realtor-and-real-estate-concept-handtohand-key-from-new-home-xl.jpg 2104 3741 Tom DelPup http://www.thomasdelpup.com/wp-content/uploads/2014/08/thomasjdelpup-lg-v3.png Tom DelPup2019-02-15 15:10:332019-02-15 15:17:47The Law of Unintended Consequences - and Failure to Plan. http://www.thomasdelpup.com/wp-content/uploads/2014/11/photodune-5027630-nativity-scene-s-e1416614062891.jpg 738 812 Tom DelPup http://www.thomasdelpup.com/wp-content/uploads/2014/08/thomasjdelpup-lg-v3.png Tom DelPup2018-12-24 11:59:262018-12-21 16:50:07A Savior Is Born! Bicycling in Michigan has enjoyed a resurgence in popularity in recent years due in large part to the expansion of rail trails and other pathway systems, which allow cyclists to ride bikes off of roadways. Rail trails have become transportation corridors allowing cyclists to commute to work, exercise, or just sight see in a safe manner. Electric bikes (e-bikes) are rising in popularity because they break down barriers preventing people from cycling. For a commuter, an e-bike allows the rider to get to and from work faster and with less effort. For a less experienced or weaker cyclist, an e-bike allows the rider to keep up with the rest of the ride group, or tackle longer distances or steeper inclines. And for many, an e-bike is the means to achieve physical fitness. Today, e-bikes represent the fastest growing segment of the bicycle market. However, with the surging popularity of e-bikes, confusion arose whether an e-bike was truly a bicycle, and whether they could be legally ridden on trails and pathways closed to motorized vehicles. Michigan became the 7th state to pass legislation specifically aimed at reducing the confusion faced by retailers, consumers, and law enforcement as to what e-bikes are and where they can be used. Prior to the passages of these laws, e-bikes were technically classified as mopeds and could not be used on trails and pathways closed to motorized vehicles. Under the new law most e-bikes are classified as bicycles, not mopeds. The law creates a 3-tier e-bike classification system. Under this system, only Class-1 e-bikes, which are defined as pedal-assisted bikes (the rider must pedal) that can reach assisted speeds of up to 20 mph, may be ridden on any linear trail or other similar paved or groomed pathway unless prohibited by local authorities. Class-2 and Class-3 e-bikes, generally classified as bikes with electric motors that have the capability of self-propulsion (the rider doesn’t need to pedal), or which can reach a maximum pedal-assisted speed of 28 mph, are prohibited on linear trails and other similar paved or groomed pathways unless permitted by local authorities. The law gives discretion to local authorities to best manage e-bikes on local trails as they deem appropriate for access and safety. Class 2 and 3 e-bikes usage will mostly be limited to roadways (with or without bike lanes). The law does not address the use of e-bikes on mountain bike trails, which is generally prohibited. Other states that have passed similar legislation include California, Colorado, Illinois, and Utah. The new law is Public Act 139 of 2017.